Property Location Located in Torremolinos, Hotel Elegance Adriano is minutes from Costa del Sol Square and San Miguel Archangel Parish. 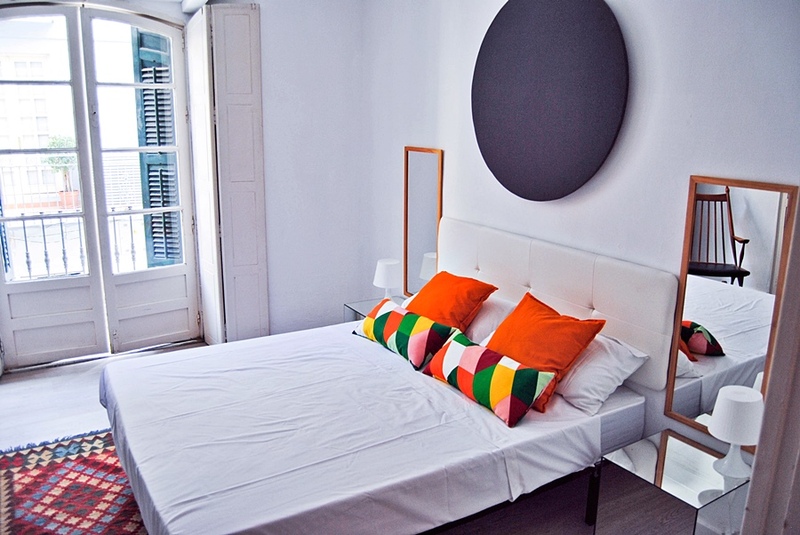 This hotel is within close proximity of Pablo Ruiz Picasso Cultural Centre and Aqualand.Rooms Make yourself at home in one of the 58 air-conditioned guestrooms. Bathrooms have shower/tub combinations and hair dryers. Conveniences include phones and safes, and you can also request irons/ironing boards.Rec, Spa, Premium Amenities Enjoy recreation amenities such as a fitness center or take in the view from a rooftop terrace. Additional features include complimentary wireless Internet access and tour/ticket assistance.Dining Enjoy a satisfying meal at a restaurant serving guests of Hotel Elegance Adriano. Buffet breakfasts are available daily for a fee.Business, Other Amenities Featured amenities include a 24-hour front desk, multilingual staff, and a library. Property Location With a stay at Hotel Castilla in Antequera, you'll be minutes from Antequera Town Hall and Plaza de San Sebastian. This hotel is within close proximity of Los Remedios Convent and Antequera Municipal Museum.Rooms Make yourself at home in one of the 22 air-conditioned guestrooms. Complimentary wireless Internet access keeps you connected, and satellite programming is available for your entertainment. Conveniences include phones, and both irons/ironing boards and cribs/infant beds (complimentary) are available on request.Rec, Spa, Premium Amenities Make use of convenient amenities, which include complimentary wireless Internet access and tour/ticket assistance.Dining Satisfy your appetite at the hotel's restaurant, which features a bar. Dining is also available at a coffee shop/café. Quench your thirst with your favorite drink at a bar/lounge. Continental breakfasts are available daily for a fee.Business, Other Amenities Featured amenities include a 24-hour front desk and coffee/tea in the lobby. 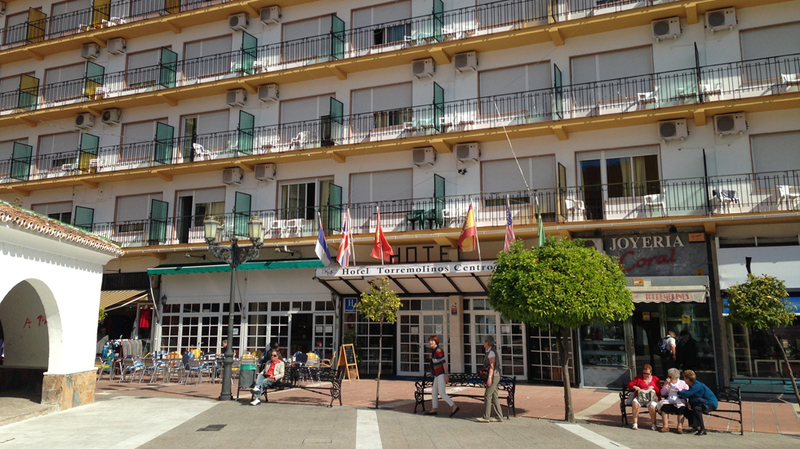 Property Location With a stay at Hotel Kristal, you'll be centrally located in Torremolinos, steps from Costa del Sol Square and minutes from San Miguel Archangel Parish. 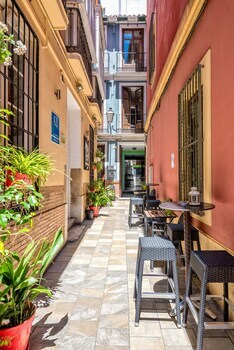 This hotel is within close proximity of Pablo Ruiz Picasso Cultural Centre and Torremolinos Synagogue.Rooms Make yourself at home in one of the 129 air-conditioned guestrooms. Satellite television is provided for your entertainment. Conveniences include phones, as well as safes and day beds.Rec, Spa, Premium Amenities Take in the views from a rooftop terrace and make use of amenities such as wireless Internet access (surcharge) and tour/ticket assistance.Dining Enjoy a satisfying meal at a restaurant serving guests of Hotel Kristal. Quench your thirst with your favorite drink at a bar/lounge.Business, Other Amenities Featured amenities include a business center, a 24-hour front desk, and multilingual staff. Self parking (subject to charges) is available onsite. This enchanting hotel boasts a prime location in the city centre of Ronda, a town in the heart of Malaga. Surrounded by a host of restaurants serving delicious local specialities, this hotel offers the perfect base from which to explore the charms of the city, including the bullfighting ring, El Tajo canyon, the Church of Santa Maria la Mayor as well as its narrow and picturesque streets. The property offers a choice of comfortable rooms featuring all the necessary services and amenities to enjoy a truly memorable stay, including air conditioning and heating. Families travelling with children may take advantage of the triple rooms offering an extra space. The onsite facilities include Wi-Fi internet connection, ideal for those business travellers needing to stay connected, as well as wake-up service. Property Location Centrally located in Ronda, Hotel Andalucía is minutes from Church of Our Lady of Mercy Round and Circulo de Artistas. This hotel is within close proximity of Ronda Bullring Museum and Plaza de Toros.Rooms Make yourself at home in one of the 12 air-conditioned guestrooms. Complimentary wireless Internet access keeps you connected, and digital programming is available for your entertainment. Private bathrooms with bathtubs or showers feature complimentary toiletries and bidets. Conveniences include desks, housekeeping is provided daily, and cribs/infant beds (complimentary) can be requested.Dining Satisfy your appetite at a coffee shop/café serving guests of Hotel Andalucía.Business, Other Amenities The front desk is staffed during limited hours. Property Location With a stay at Hostal La Molina in Alora, you'll be on the riverwalk and within the region of Bobastro Ruins and The Gorge of Gaintanes. This family-friendly hostal is within the region of Caminito del Rey and El Chorro Gorge.Rooms Make yourself at home in one of the 8 air-conditioned rooms featuring flat-screen televisions. Complimentary wireless Internet access keeps you connected, and digital programming is available for your entertainment. Bathrooms have showers and complimentary toiletries. Conveniences include desks, and housekeeping is provided daily.Rec, Spa, Premium Amenities Take advantage of recreation opportunities including a lazy river and a 24-hour fitness center. Additional amenities include complimentary wireless Internet access and a television in the lobby.Dining Satisfy your appetite at the hostal's restaurant, where you can enjoy drinks at a bar, take in a garden view, and even dine alfresco (weather permitting). Dining is also available at a coffee shop/café. Mingle with other guests at a complimentary reception, held daily. Quench your thirst with your favorite drink at a bar/lounge. Continental breakfasts are available daily for a fee.Business, Other Amenities Featured amenities include luggage storage and an elevator (lift). Free self parking is available onsite. Old manor house from 1840, located in the heart of Malaga, 5 minutes from the main museums of Malaga. The building has two common areas and kitchen.From the date of: 28/02/2019 The price mentioned does not include city tourist tax. This needs to be paid upon arrival: 0.99¬ per person per night (maximum of 7 nights); children aged 16 or younger will not be charged. Property Location Located in Nerja (Maro), Hotel Al Andalus is minutes from Nerja Caves and Aqueduct of El Aguila. This hotel is within close proximity of Burriana Beach and Carabeo Beach.Rooms Make yourself at home in one of the 38 air-conditioned rooms featuring refrigerators. Complimentary wireless Internet access is available to keep you connected. Conveniences include phones, and cribs/infant beds (complimentary) can be requested.Rec, Spa, Premium Amenities Take advantage of recreation opportunities such as a seasonal outdoor pool or take in the view from a rooftop terrace and a garden. Additional features include complimentary wireless Internet access and tour/ticket assistance.Dining Enjoy a satisfying meal at a restaurant serving guests of Hotel Al Andalus. Quench your thirst with your favorite drink at a bar/lounge. Buffet breakfasts are available daily for a fee.Business, Other Amenities Featured amenities include a 24-hour front desk, multilingual staff, and an elevator (lift). Planning an event in Nerja? This hotel has facilities measuring 3228 square feet (300 square meters), including a meeting room. Free self parking is available onsite. 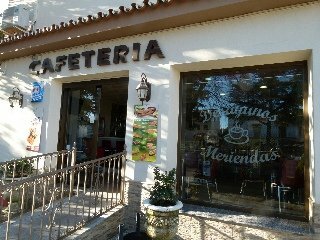 Located in central Torremolinos- Malaga where you can enjoy leisure, around us we can find shops, super markets, restaurants of national and international food, museums and entertainment for you and you family, beach about 10 minutes, pubs, nightclubs and countless places that will make your unique and unforgettable journey. Property Location A stay at Hotel Las Villas de Antikaria places you in the heart of Antequera, steps from Antequera Trinity Church and close to Antequera Town Hall. 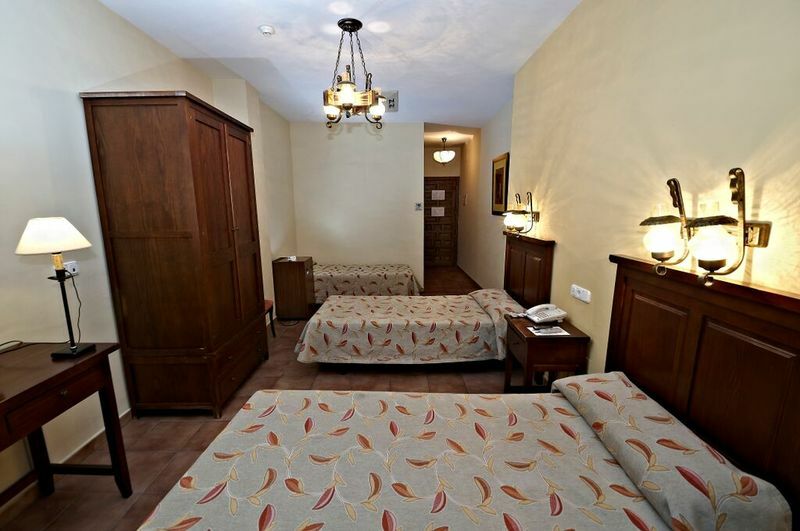 This hotel is within close proximity of Convento de Belen and Museo Conventual De Las Carmelitas Descalzas De Antequera.Rooms Make yourself at home in one of the 33 individually furnished guestrooms, featuring minibars and plasma televisions. Complimentary wireless Internet access keeps you connected, and digital programming is available for your entertainment. Private bathrooms with bathtubs or showers feature complimentary toiletries and bidets. Conveniences include phones, as well as desks and complimentary bottled water.Rec, Spa, Premium Amenities Take in the views from a rooftop terrace and make use of amenities such as complimentary wireless Internet access and wedding services.Dining Enjoy a meal at a restaurant or in a coffee shop/café. Or stay in and take advantage of the hotel's room service (during limited hours).Business, Other Amenities Featured amenities include complimentary newspapers in the lobby, a 24-hour front desk, and multilingual staff. Planning an event in Antequera? This hotel has facilities measuring 21528 square feet (2000 square meters), including meeting rooms. Self parking (subject to charges) is available onsite. This charming cottage offers everything you need to spend some time relaxing and entertainment in a prime location, where you will enjoy the beautiful sunsets of the mountains. It features an outdoor swimming pool, mini golf and tennis courts. Relax in comfortable, rustic rooms, which have all the amenities, including WIFI Internet connection in all rooms. You can also taste the typical Andalusian food in the restaurant and enjoy a drink or snack at the bar of this magnificent 32-room hotel. Pets are not allowed. 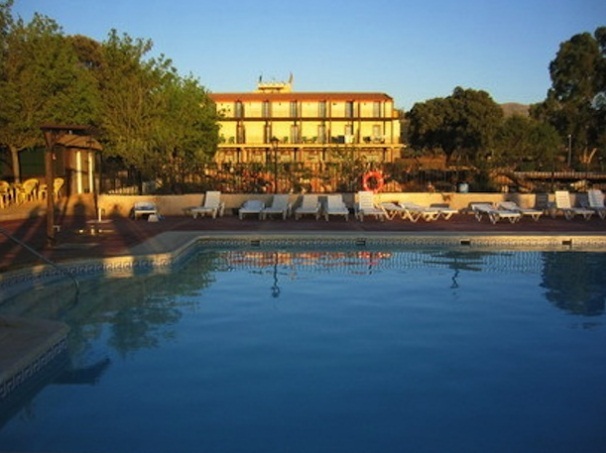 The hotel is located in a quiet area of Ronda about 50 metres from the railway station. A bus station can be reached at about 150 metres from the hotel and the historic centre is within easy walking distance. 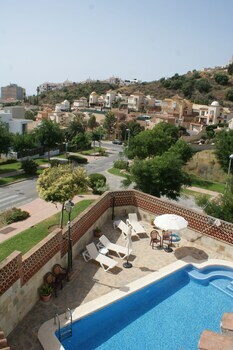 Malaga Airport is 130 km and Mariana Airport is 115 km from the property. 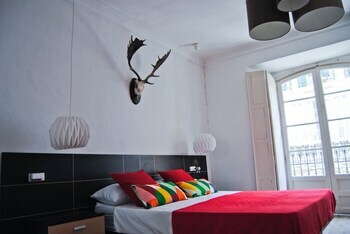 This 12-room, city hotel offers comfortable accommodation in a cosy ambience. Guests can enjoy a drink or snack in the hotel cafe-bar, which has an outdoor terrace. All rooms are spacious, bright and comfortable. Internet access and air conditioning come as standard features in all units. 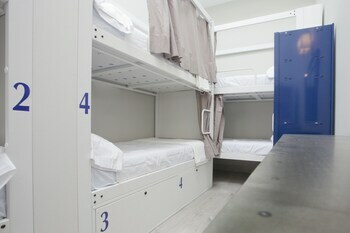 The rooms have exterior views of the promenade and are fitted with soundproofed windows to ensure an undisturbed rest. Property Location With a stay at Hotel Posadas de España Málaga in Malaga (Campanillas), you'll be close to Guadalhorce Golf Club. This hotel is within the vicinity of University of Malaga and Trade Fair and Congress Center of Malaga.Rooms Make yourself at home in one of the 92 air-conditioned rooms featuring minibars. Complimentary wired and wireless Internet access keeps you connected, and digital programming provides entertainment. Private bathrooms with shower/tub combinations feature complimentary toiletries and bidets. Conveniences include laptop-compatible safes and desks, and housekeeping is provided daily.Rec, Spa, Premium Amenities Enjoy recreational amenities such as an outdoor pool and bicycles to rent. This hotel also features complimentary wireless Internet access, a television in the lobby, and tour/ticket assistance.Dining Satisfy your appetite at the hotel's restaurant, which serves breakfast, lunch, and dinner, or stay in and take advantage of room service (during limited hours). Quench your thirst with your favorite drink at a bar/lounge.Business, Other Amenities Featured amenities include complimentary high-speed (wired) Internet access, a business center, and dry cleaning/laundry services. Event facilities at this hotel consist of conference space and a meeting room. Free self parking is available onsite.